Highly-effective, watery solution of anorganic compounds, compliant with class 9 slip resistance (tested and approved by the LGA Würzburg). 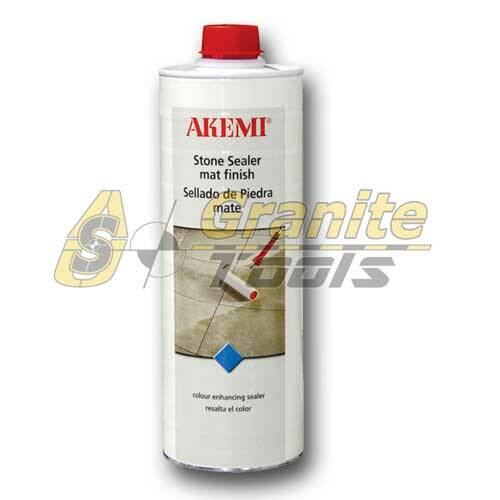 Produces an anti-slip effect on smooth polished and glazed surfaces, especially granite, gneiss, gabbro, other types of hard stone, ceramic tiles and enamelled surfaces and can be used inside and outside. 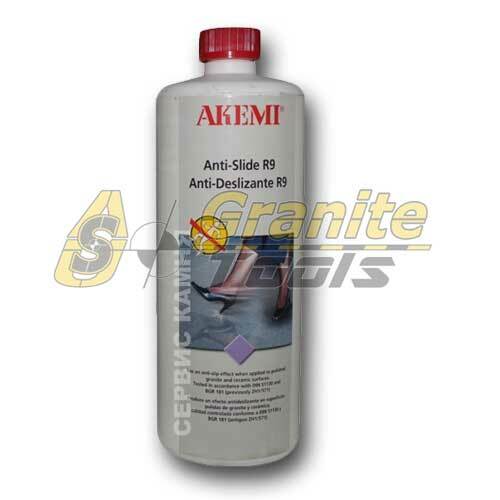 The surfaces which have been treated with AKEMI Anti Slide R9 normally comply with the require-ments pertaining to slip prevention under wet conditions as laid down in DIN 51130 and BGR 181 (previously ZH1/571 – class R9 slip resistance) as well as the US guide lines on surface safety (OSHA/ADA). The polish of the stone and the attractiveness of the colour are retained to a wide extent. Protective impregnation with Stain Repellent Super or Colour Intensifier does not impair the class R9 slip resistance (tested by the LGA Würzburg).